Writing about a fast-moving issue such as a Black Lives Matter essay is akin to trying to hit a moving target – as soon as you find what you think is the latest information, something is already taking place elsewhere that makes everything you found obsolete. Consequently, students must learn how to recognize where to draw the line on timeliness and relevancy of their resources, and use the best of what is available to support their thesis. Writing a Black Lives matter essay can also be challenging because of the sensitive nature of the issues that are involved, and it can be difficult to avoid being forthright without being offensive. Nevertheless, the straightforward steps presented here can help guide the process and provide a useful framework in which to write about virtually any topic. What is the Black Lives Matter Movement and why is it important? Is the Black Lives Matter Movement doing more harm than good? What is the purpose of the Black Lives Matter Movement? Who founded the Black Lives Movement? The Impact of the Black Lives Movement on the Discourse over Race Relations in the U.S. Established in 2012 following the high-profile shooting of 17-year-old African-American Trayvon Martin by neighborhood watch leader George Zimmerman who was subsequently acquitted. Since that time, the Black Lives Matter movement has become a global phenomenon that has attracted both praise and criticism. The three co-founders of the Black Lives Matter movement, Alicia Garza, Opal Tometi and Patrisse Cullors, also remain active today in their efforts to educate Americans concerning the extrajudicial killings of black Americans by vigilantes and law enforcement authorities across the country. To gain some new insights into this movement, this essay provides a review of the relevant literature concerning the Black Lives Matter movement to provide an overview of the organization and what initiatives it has undertaken to promote its causes. Finally, a discussion concerning the implications of the Black Lives Matter movement for the future is followed by a summary of the research and important findings concerning the Black Lives Matters movement in the conclusion. The Black Lives Matter movement is a nationwide chapter-based organization that is committed to validating the lives of African-Americans (About the Black Lives Matter network, 2016). Founded in 2012 following the acquittal of George Zimmerman who was responsible for the death of Trayvon Martin, the Black Lives Matter movement represents a renewed effort on the part of the African-American community in the United States to counter the violent racism that continues to permeate throughout American society today (About the Black Lives Matter network, 2016). Despite significant progress in other civil rights areas, the organizers of the Black Lives Matter movement emphasize the need to educate all Americans concerning the extrajudicial killings of black Americans by vigilantes and law enforcement authorities across the country. To determine the facts, this paper reviews the relevant literature to provide an overview of the Black Lives Matter movement, its efforts to date and its implications for the future. Finally, a summary of the research and important findings concerning the Black Lives Matters movement are presented in the conclusion. Stuck Writing Your Black Lives Matter Essay? Despite significant progress in other civil rights areas, the organizers of the Black Lives Matter movement emphasize the need to educate all Americans concerning the extrajudicial killings of black Americans by vigilantes and law enforcement authorities across the country. To determine the facts, this paper reviews the relevant literature to provide an overview of the Black Lives Matter movement, its efforts to date and its implications for the future. Finally, a summary of the research and important findings concerning the Black Lives Matters movement are presented in the conclusion. The creation of the Black Lives Matter movement was a response by the African-American community to a number of deaths of black Americans at the hands of law enforcement authorities and vigilantes across the country in recent years. For instance, according to the executive director of the Africa masters program in international studies at Concordia University Irvine, “These criminal acts by police against their own citizenry have been exacerbated by the failure of the justice system to convict or in many cases even investigate the perpetrators which for many equates to a system of state-sanctioned police violence” (Faraji, 2016, p. 3). For instance, the guiding principles of this organization state that the Black Lives Matter movement “is an ideological and political intervention in a world where Black lives are systematically and intentionally targeted for demise [and] an affirmation of Black folks’ contributions to this society, our humanity, and our resilience in the face of deadly oppression” (Guiding principles, 2016, para. 1). The three co-founders of Black Lives Matter, Alicia Garza, Opal Tometi and Patrisse Cullors, report that the impetus for the organization’s creation was the brutal murder of a young black man, 17-year-old Trayvon Martin, by a white man, George Zimmerman, a neighborhood watch leader, who was not held accountable by the state of Florida based on his claim of self-defense and Martin was even inexplicably charged with his own murder posthumously (The creation of a movement, 2016). The reaction of organizer Garza to the acquittal of the defendant in Trayvon Martin’s murder case became the rallying cry and hashtag for a major movement when she wrote on her Facebook page, “I continue to be surprised at how little Black lives matter” (Greenburg, 2017). This reaction, which was echoed across the country, was due in large part to the increased use of deadly force against African Americans by law enforcement authorities in particular with apparent impunity. Moreover, Zimmerman subsequently auctioned off the gun used in this killing, describing it as an “American Firearm Icon” and reported that a portion of the proceeds would be donated to the Black Lives Matter movement (Linder, 2014). Representatives of the Black Lives Matter organization refused to comment on the intended donation and reiterated their guiding principles of “ending senseless gun violence in the United States” (as cited in Linder, 2014, para. 4). This tragic seminal event became the inspiration for many of the initiatives launched by the Black Lives Matter movement since its foundation and these initiatives are discussed further below. To further their cause, the organizers of the Black Lives Matter movement sponsor 9-month-long youth empowerment programs for young people aged 11 to 17 years in various venues nationwide as well as in other countries. According to the organization’s Web site, the purpose of the empowerment programs are “To empower our youth with the knowledge, skills and confidence to conduct themselves with poise and professionalism” (Youth empowerment strategy program, 2016, para. 2). The Blacks Lives Matter movement also received significant nationwide publicity during the recent presidential campaign when representatives from the organization challenged Democratic candidates, including Bernie Sanders and Hillary Clinton, concerning their views about rampant violence against black people across the country (Fletcher, 2015). In addition, the Black Lives Matter movement also sponsors periodic monthly events such as the recent “Black Lives Matter – Black Futures Month” in February 2016 (Youth empowerment strategy program, 2016). Beyond the foregoing initiatives, the Black Lives Matter movement is gaining growing assistance from the 41,000-member strong InterVarsity Christian Fellowship which has called for its national membership to actively support the organization’s efforts and mission (Grant, 2016). “Black lives matter” is a simple affirmative sentence. The need to affirm, explain, or qualify that affirmation stems from the fact that this statement is not universally accepted as a truthful or legitimate claim. Concomitantly, the inverse proposition is always present: Black lives do not matter. That proposition requires no amplification for explanation. It is the ground on which all other claims about black life seem to rest in this society (Gafney, 2017, p. 204). Although racism within the criminal justice system is not a new phenomenon, over the past few years incidents of state (or state-protected) violence and the Black Lives Matter movement— founded in response—have become a dominant feature of our national conversation (Neary, 2017). Perhaps not surprisingly, the Democratic front-runner refused to respond to this observation, but it is reasonable to posit that this exchange helped sway many fence-sitters concerning the suitability of Clinton for president resulting, at least in part, in the upset victory by the Republican presidential candidate, Donald Trump (Fletcher, 2015). Even when presidential candidates attempted to positively respond to the group’s emotionally charged question, “Do Black lives matter?,” Black Lives Matter representatives refused to accept their affirmative responses and pressured them to concede rather that, “Do you fully acknowledge the unique injustices that have been and are being committed against African Americans?” (as cited in Marino, 2015, p. 6). Given the enormity of the “unique injustices” that have been perpetrated on African-Americans over the centuries, this too would have been a legitimate question but it was not articulated as such during the presidential campaigns, leading some critics to argue that the organization is using deceptive rhetorical strategies to advance its cause (Marino, 2015). These charges appear to hold at least some water given the Black Lives Matter formal commitment to “embodying and practicing justice, liberation, and peace in our engagements with one another” (Guiding principles, 2016, para. 4). Certainly, few right-thinking people would try to argue that “Black Lives Don’t Matter,” but some critics have also charged that not only do black lives matter, but that all lives matter and question the exclusivity of the organization’s purpose and mission (Marino, 2015). In fact, some critics have even claimed that the Black Lives Matter organization is really an ill-disguised hate group and its hyperbolic rhetoric has created even more violence, including the recent shooting of a Texas sheriff (Marino, 2015). Indeed, some critics even maintain that the Black Lives Matter movement has used falsehoods and emotionally charged rhetoric that have only served to fuel the fires of racism. For example, Shaw (2015) reports that, “The Black Lives Matter movement has blamed a litany of death and destruction on police nationwide. Not only are their facts false, their ‘solutions’ cause increased carnage” (p. 11). Notwithstanding these criticisms, though, there is a growing consensus that the Black Lives Matter movement is a reflection of the growing discontent over the lingering social and even institutionalized racism that pervades the U.S. today. The heated exchanges between Black Lives Matters’ representatives and presidential candidates are likewise reflective of this growing discontent and refusal to accept the status quo, including the “all lives matter” response. In this regard, Marino (2015) makes it clear that, “For many, prayerfully intoning ‘all lives matter’ is an oblique way of muting the hard truths of Katrina, Ferguson, Waller County Texas, Baltimore, Cleveland, and Charleston” (p. 6). From this perspective, then, the implications of the Black Lives Matter movement can be seen as helping raise awareness of racism and its adverse effects on American society among people of all races in the U.S. and around the world. These are especially timely issues for consideration by the American public given the severity of the Black Lives Matter movement. It may be difficult for many white Americans to fully appreciate the depth of the emotions that are fueling this movement or the confrontational nature of the response (Jones, 2017). These reactions are attributable to the centuries-old legacy of slavery in the U.S. and how the institution affected mainstream views about blacks – then and now. Even though many Americans have accepted black equality as a fundamental right in public, far too many appear to still harbor private beliefs that are based on longstanding stereotypes. The fact that some white people, including prominent celebrities, tend to blurt out racial epitaphs when they become angry or inebriated, supports this assertion. Perhaps the most troubling aspect of the Black Lives Matter organization, then, is the fact that the organizers felt compelled to express a concept that should be a given, much like stating that, “Food is Good.” As Jones (2017) points out, “Despite the clear racist component of this historical reality, the Black Lives Matter movement is not just about race, but about the safety, security and the humanity of all of us who inhabit this land. Black lives matter because all lives matter” (2017, p. 21). Do Black lives matter? Of course they do, but the research indicated that many critics believe that Black lives do not matter more than other peoples’ lives, though, and argue that many of the efforts by the Black Lives Matter movement have done more harm than good in attempting to promote its causes and achieve its guiding mission. Despite these criticisms, however, the research was consistent in showing that African-Americans have been the victims of numerous extrajudicial killings in recent years and the lack of accountability for these deaths has formed the basis for the Black Lives Matter movement. In the final analysis, then, to the extent that vulnerable populations such as Blacks remain at high risk for targeted killings by vigilantes and law enforcement authorities in the United States will likely be the extent to which the organizers and directors of the Black Lives Matter movement will have a legitimate case to continue their efforts to finally eradicate the ugly face of racism from the American consciousness. -APA 6th ed. stipulates that “Abstract” should not be bolded, italicized or underlined. -APA 6th ed. requires the use of “as cited in” when a secondary reference is cited in the primary reference. -If used, the term “Keywords” should be italicized and selected keywords that are reflective of the topic included. -APA 6th ed. stipulates that a thesis statement should be one or two sentences and should be the final sentence(s) of the introduction. -When citing online sources, APA 6th ed. requires the use of page numbers where available and the use of “para” (paragraph) when page numbers are not available. -APA 6th ed. States that quotations of 40 words and more should be placed in block quotes indented ½” from the left margin and the parenthetical citation placed after the final punctuation mark in the quote. Writing an evocative Black Lives Matter essay can be challenging, but as you can see from the foregoing example paper, conducting some preliminary research and developing an outline can help guide the process and assist you in organizing your resources and thoughts as the research progresses. 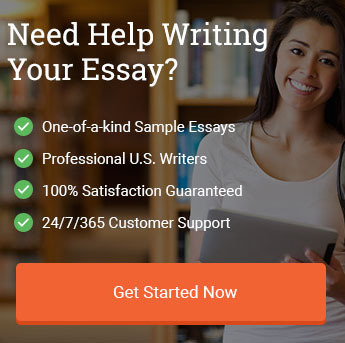 Writing a Black Lives Matter essay or papers about hot topics also generally requires the use of the most recent information available, but things can change overnight so you must make a decision concerning an appropriate cutoff date or the writing process will become mired in a sea of unending revisions and updates. Finally, be sure to capture your citation information for any sources you use first and include this on your reference page before you use them since it is easy to forget and relocating them may be difficult. Faraji, S. (2016, April 1). Kendrick Lamar’s Grammy performance points to a simple truth, #Black Lives Matter when Africa matters. The Journal of Pan African Studies (Online), 9(2), 3-6. Fletcher, B. (2015, October). Who speaks for Black Lives Matter? In These Times, 39(10), 8-11. A Reflection on the Black Lives Matter Movement and Its Impact on My Scholarship. Contributors: Gafney, Wil – Author. Journal title: Journal of Biblical Literature. Volume: 136. Issue: 1 Publication date: April 1, 2017. Page number: 204+. Grant, T. (2016, February 3). InterVarsity leaders back Black Lives Matter efforts during student conference. The Christian Century, 133(3), 15-18.
: None of Us Is Entirely Innocent. Contributors: Greenberg, Will – Author. Magazine title: Mother Jones. Volume: 42. Issue: 2 Publication date: March 1, 2017. Page number: 24+. Guiding principles. (2016). Black Lives Matter. Retrieved from http://blacklivesmatter.com/guiding-principles/. Marino, G. (2015, September 25). ‘All Lives Matter’ vs. Black Lives Matter. Commonweal, 142(15), 6. Making Black Lives Matter . Contributors: Shaw, C. Mitchell – Author. Magazine title: The New American. Volume: 32. Issue: 18 Publication date: September 19, 2016. Page number: 10+. Fugitive Testimony: On the Visual Logic of Slave Narratives. Contributors: Janet Neary – Author. Publisher: Fordham University Press. Place of publication: New York. Publication year: 2017. "Black Lives Matter Essay." Aceyourpaper.com. Student Network Resources Inc, 28 December. 2016. Web. 18 April 2019. Student Network Resources Inc. "Black Lives Matter Essay." Aceyourpaper.com. https://www.aceyourpaper.com/essay/black-lives-matter-essay/ (accessed April 18, 2019).